The Frist Art Museum presents Senior Mondays, a series of events for those who admit their senior status. On these days, seniors receive an additional discount on gallery admission, as well as discounted parking (subject to availability in the Frist lot). Seniors receive a 15 percent discount on gift shop purchases and on café refreshments purchased during the visit. 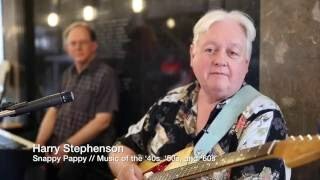 Visitors are invited to enjoy live music by Harry Stephenson, aka “Snappy Pappy,” in the Grand Lobby from 12:30 to 1:30 p.m. A docent-guided tour of a current exhibition is offered at 1:30 p.m. Programming on Senior Mondays also features tours and in-gallery activities, all included with discounted admission. The Frist Art Museum Visitor Parking Lot is located on land adjacent to the building. The lot contains 90 parking spaces. Barrier-free entrances are located on 9th Avenue near Broadway and at the rear of the building near the accessible parking spaces. The barrier-free distance from the accessible parking spaces (located in the northeast corner of the Visitor Parking Lot) to the building’s entryway in the Turner Courtyard is approximately 125 yards. Five designated accessible parking spaces are available in the Frist Art Museum Visitor Parking Lot for vehicles displaying the appropriate hang tags and license plates. The spaces are located in the northeast corner of the Frist Art Museum Visitor Parking Lot nearest the barrier-free crossing and entrance to the Frist Art Museum and are clearly marked. • Barrier-free building access is available from both the Frist Art Museum Visitor Parking Lot and via a ramp at the corner of 9th Avenue and Broadway. • Via the entrance to the Turner Courtyard on the southeast side of the building nearest the Federal Courthouse. The barrier-free entry to the Turner Courtyard is located near the Frist Art Museum’s large generator which is clearly visible from the accessible parking spaces in the Frist Art Museum Visitor Parking Lot. The barrier-free distance from these accessible parking spaces to the building entrance is approximately 125 yards. • Via the ramp located at the entrance on 9th Avenue near the corner of Broadway and 9th Avenue The distance from the entrance to the Visitor Services Desk through the Grand Lobby is approximately 80 yards.